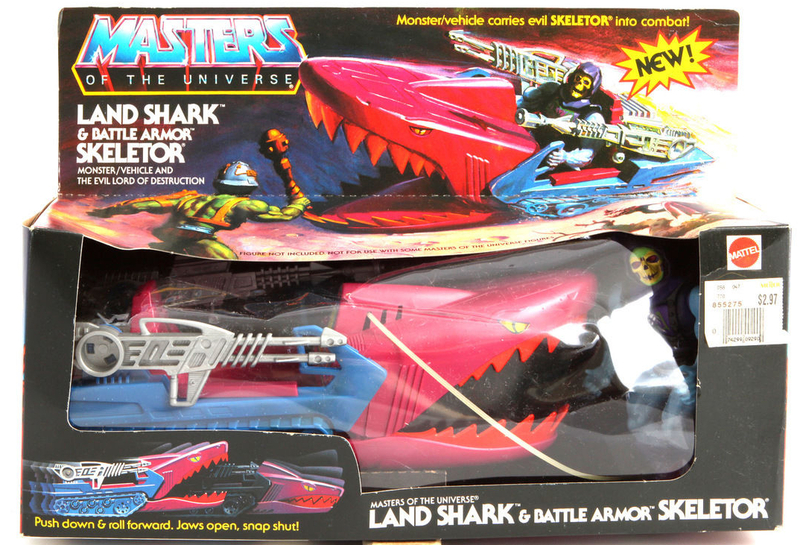 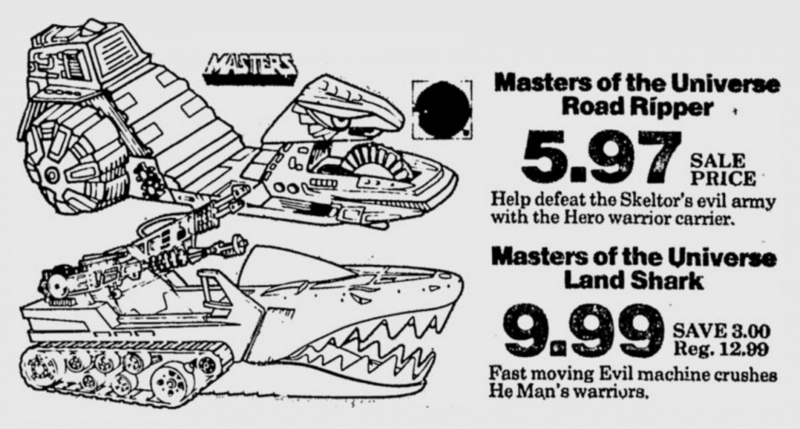 Land Shark is one of those Masters of the Universe vehicles that had to exist. 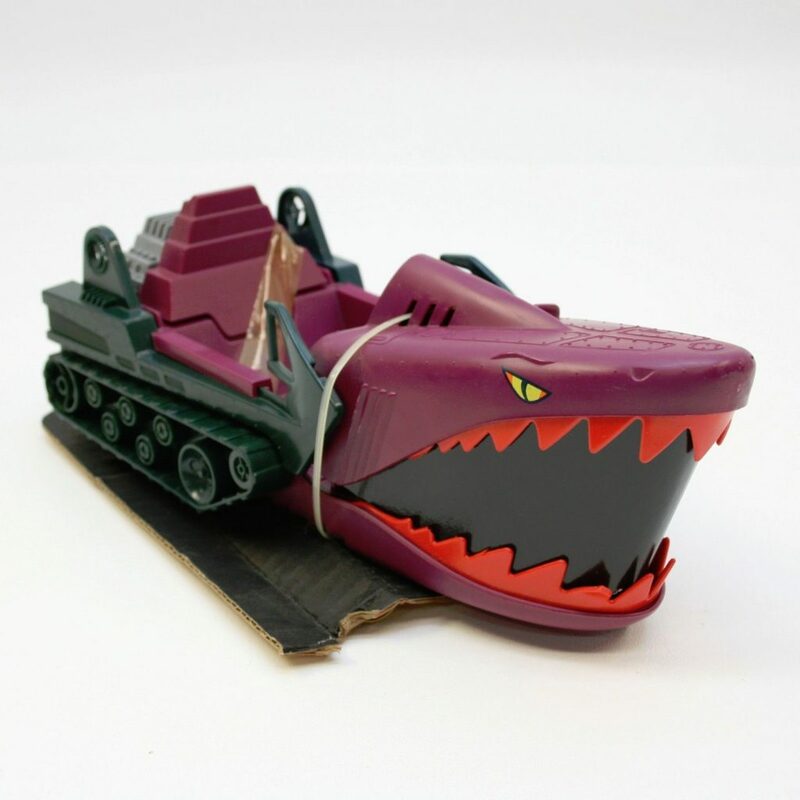 There was no way they weren’t going to get around to making a chomping shark car vehicle, given enough time. 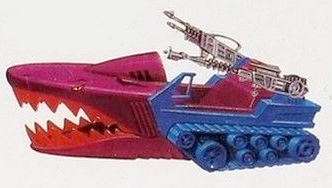 The concept design, compared to the final toy, has much sharper lines (ideal for mowing down foes, but probably too sharp for a kid’s toy) and larger eyes, but the broad ideas that went into the final vehicle are all there. 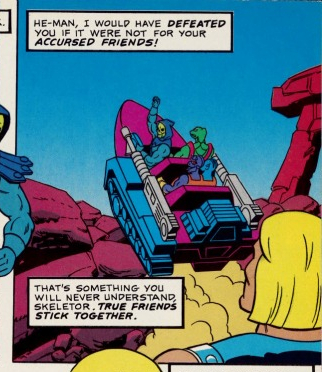 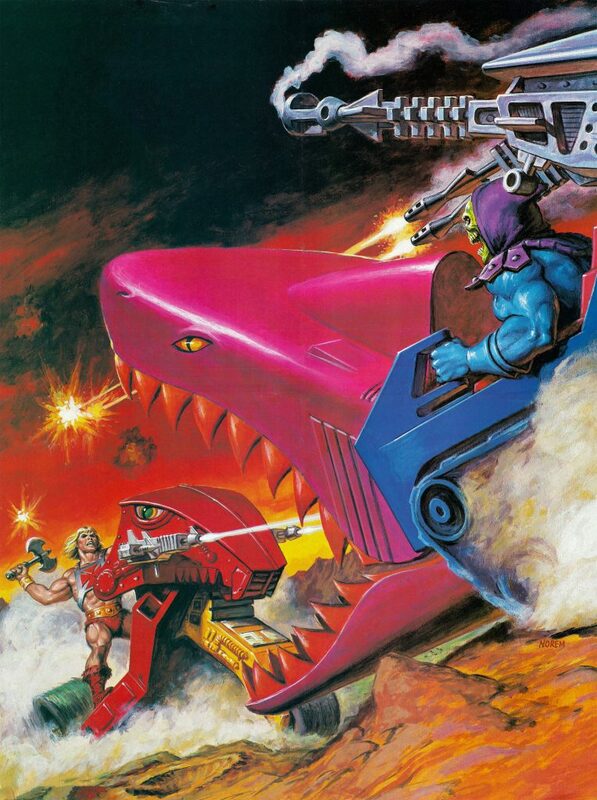 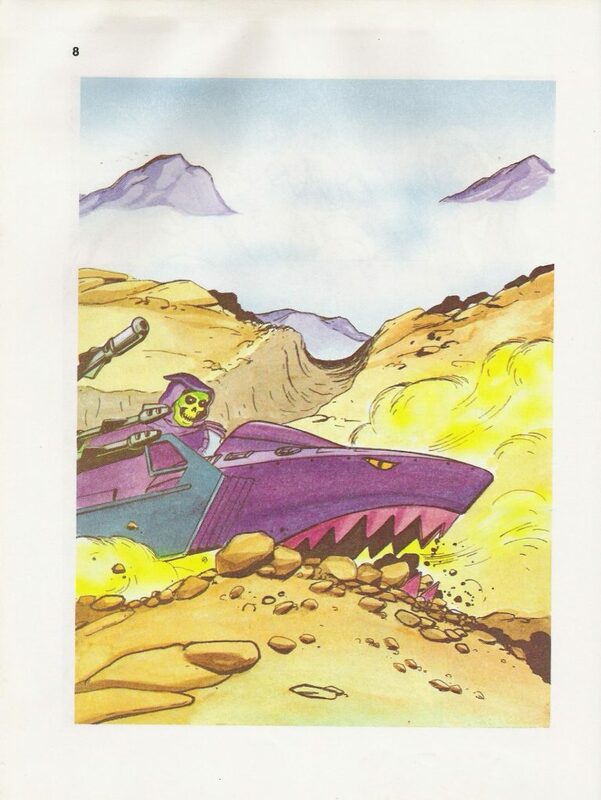 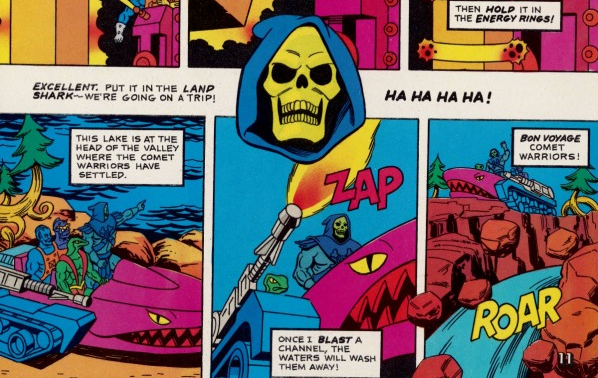 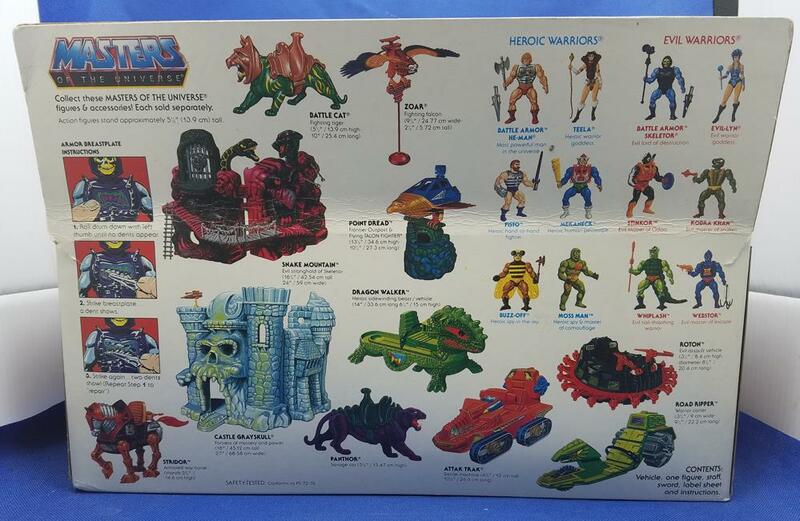 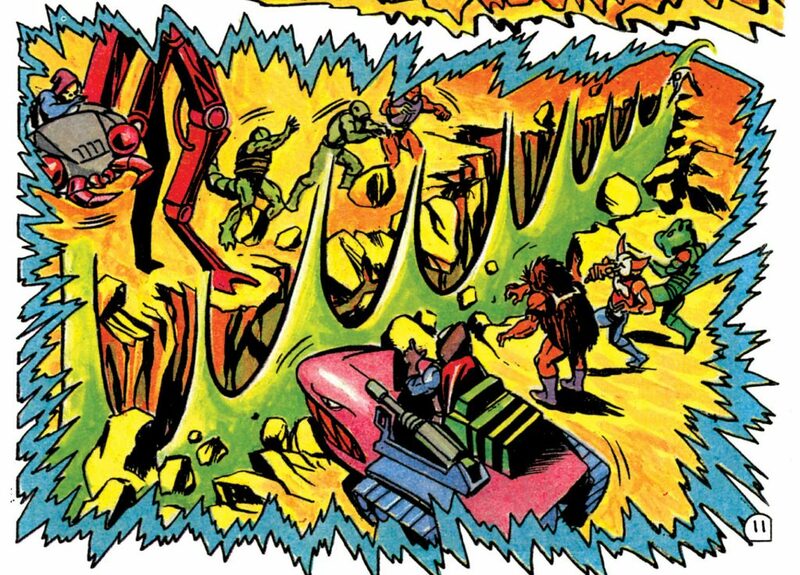 Notice that Trap Jaw is depicted driving the vehicle. 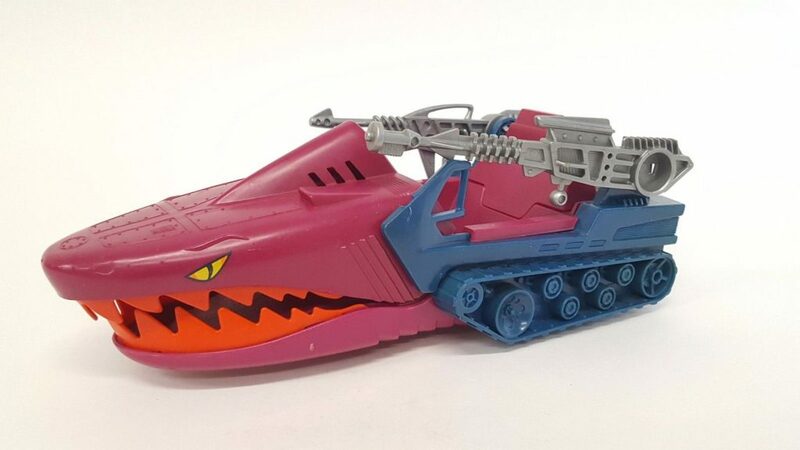 In a way, the Land Shark is kind of a vehicular version of Trap Jaw, sharing not only his chomping mechanical jaw but also his color scheme. 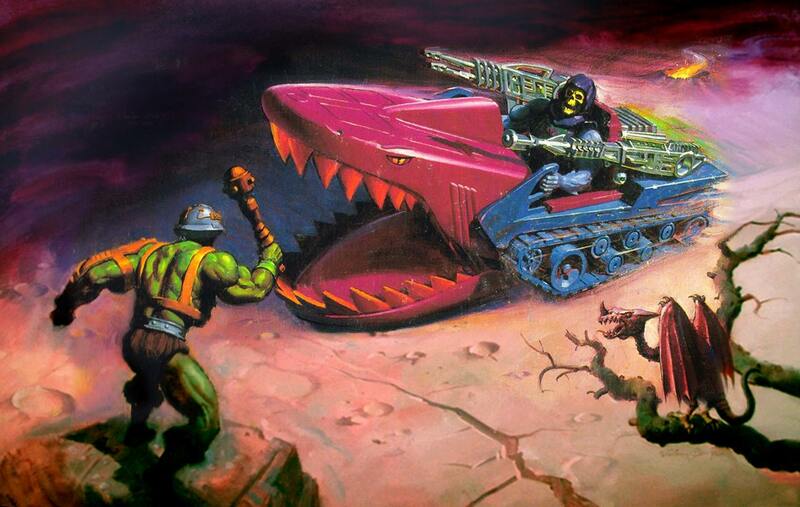 In Watts’ artwork, they even have similar weapons (although non of Trap Jaw’s attachments actually looked like that). 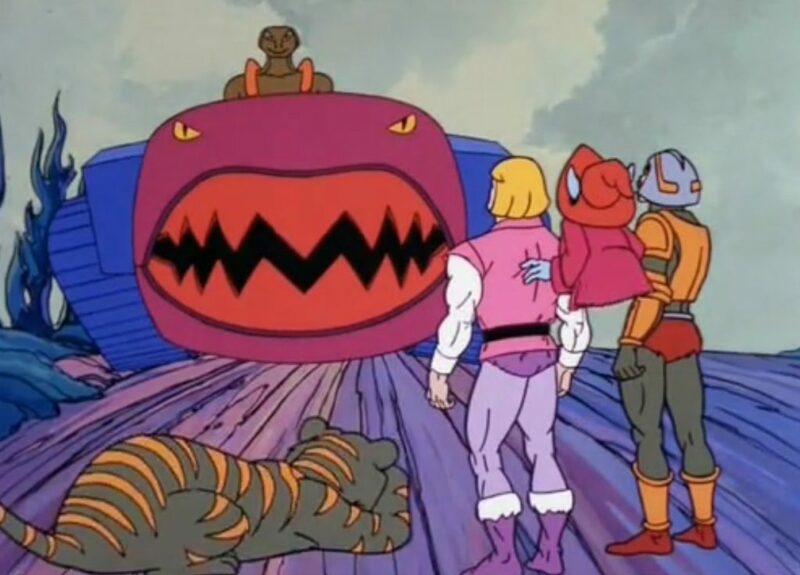 The concept version is maroon and green, while final toy was maroon and blue (all three are predominant colors on Trap Jaw). 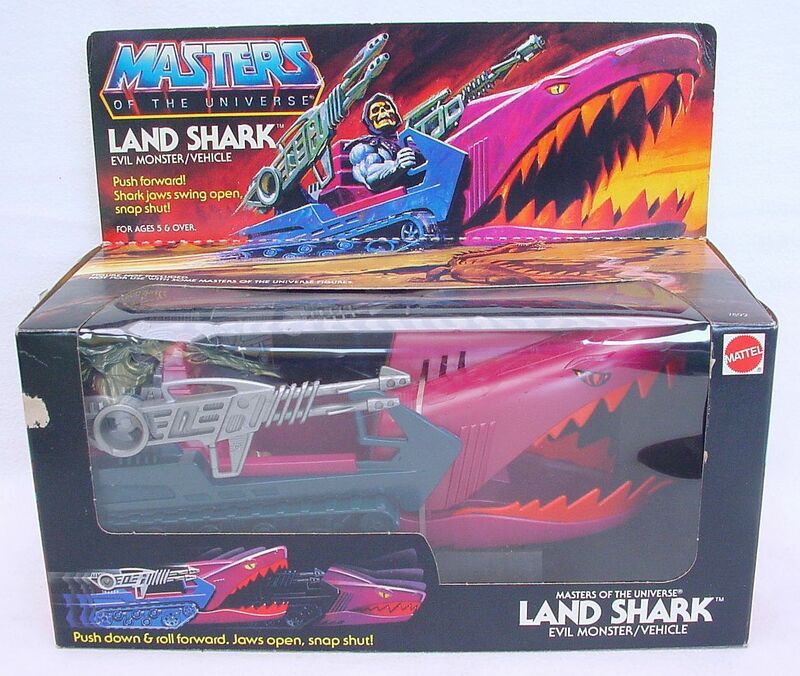 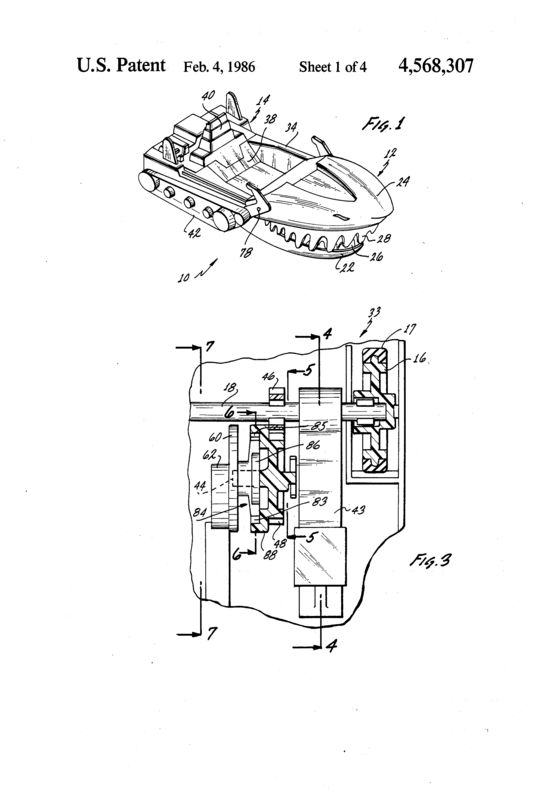 The trademark for Land Shark was filed September 10, 1984, and the patent was filed on November 13, 1984 . 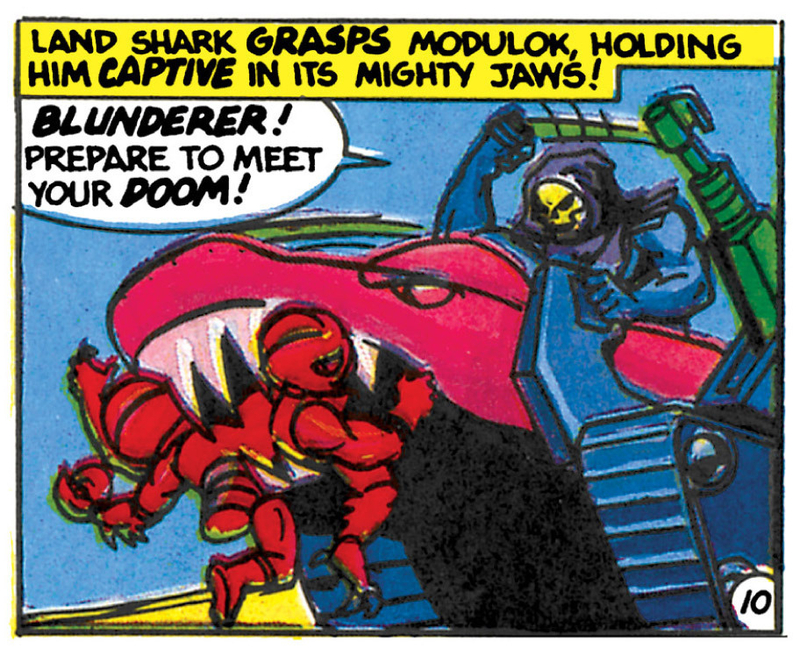 Land Shark appears with some frequency in the series of minicomics released in 1985. 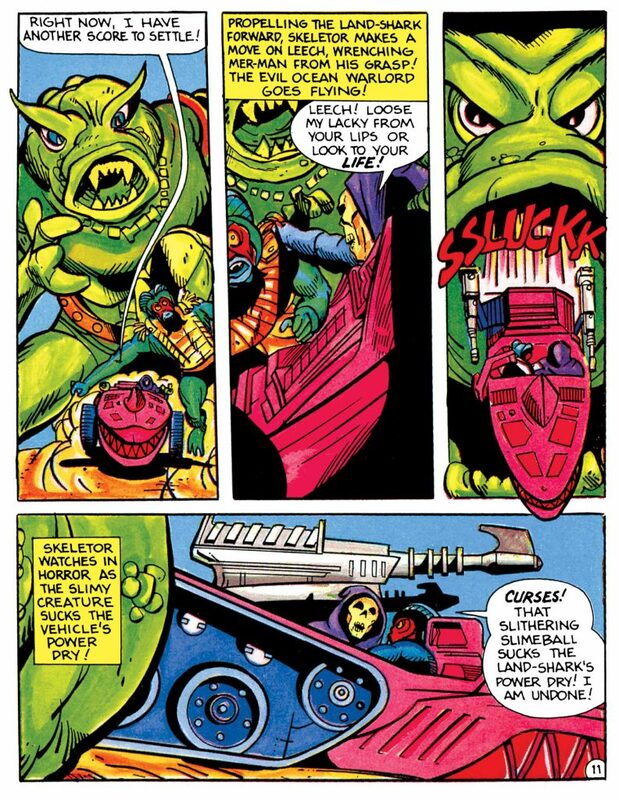 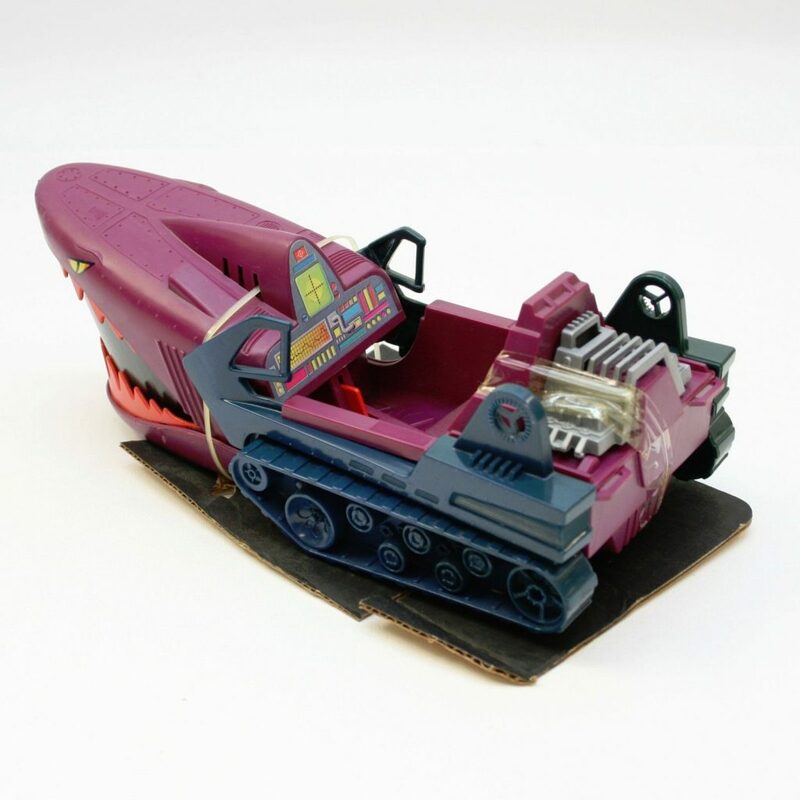 The depiction in comics more or less matches the look of the final toy, although the guns are simpler and seem to connect to the vehicle with a different kind of hinged joint (this is true in all of the minicomic appearances, with the exception of Leech). 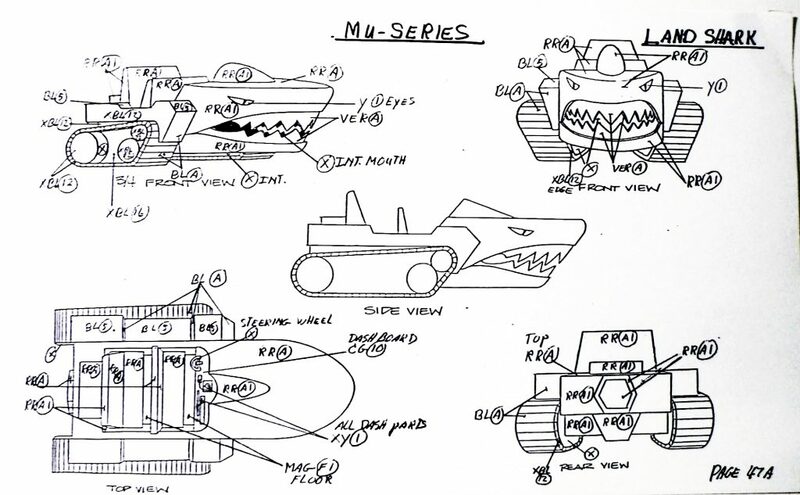 This may represent an earlier prototype design. 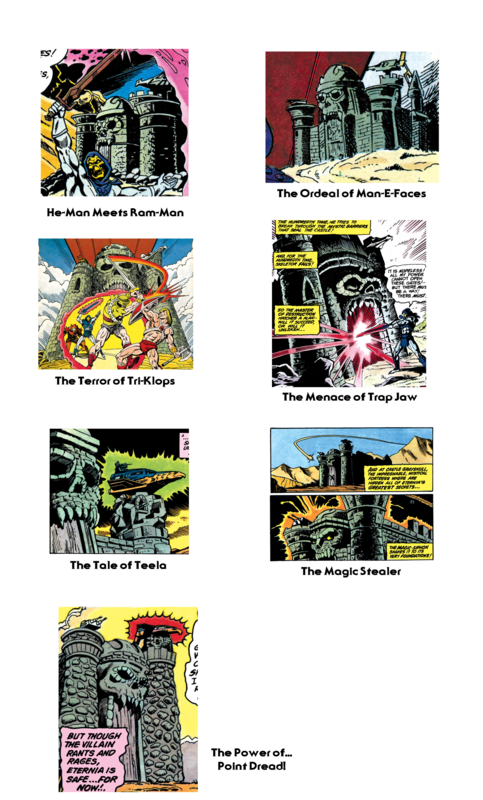 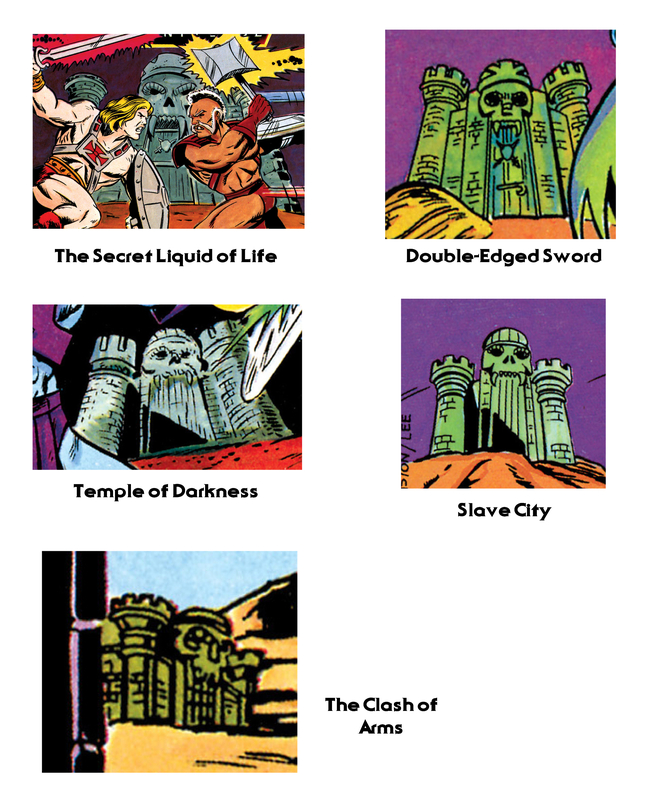 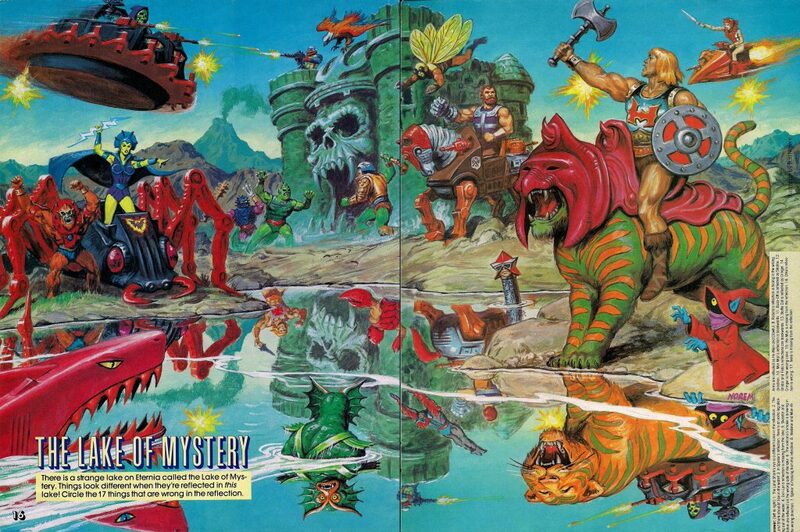 Excerpted images below are from the Dark Horse He-man Minicomic collection. 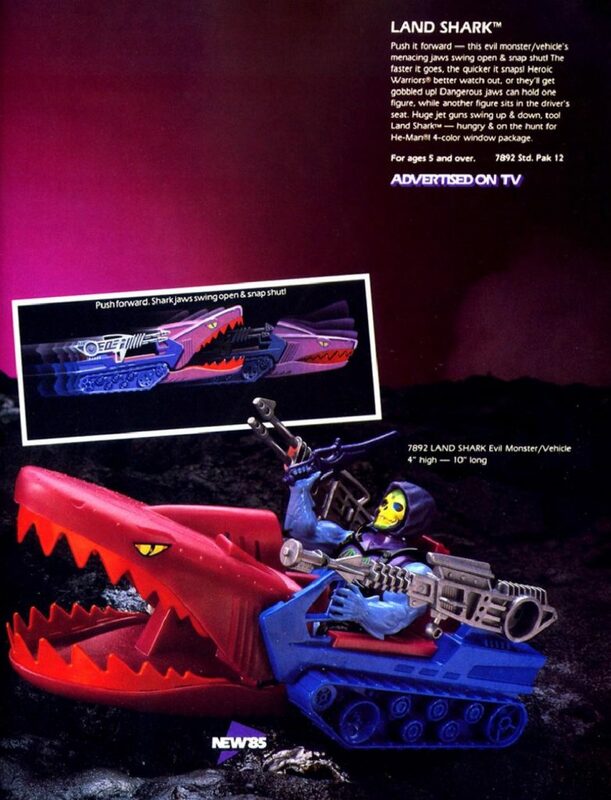 “Evil man-eating assault vehicle” seems like a good tag line for the toy. 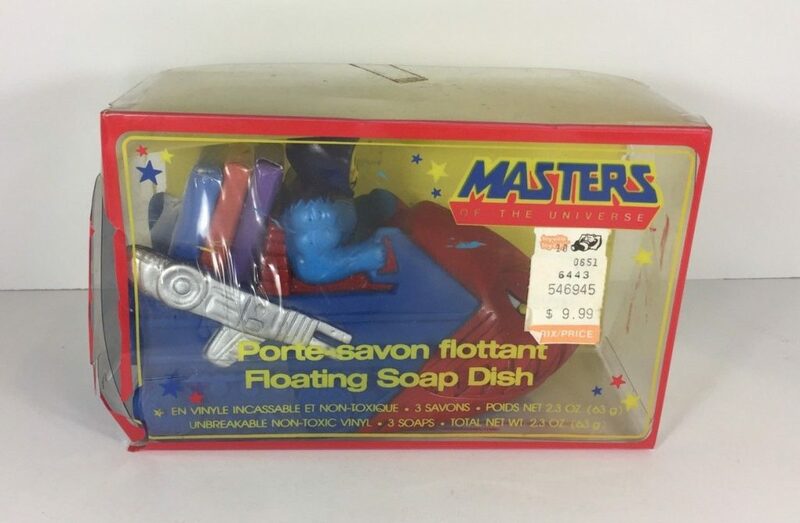 I’m surprised it wasn’t used on the actual packaging. 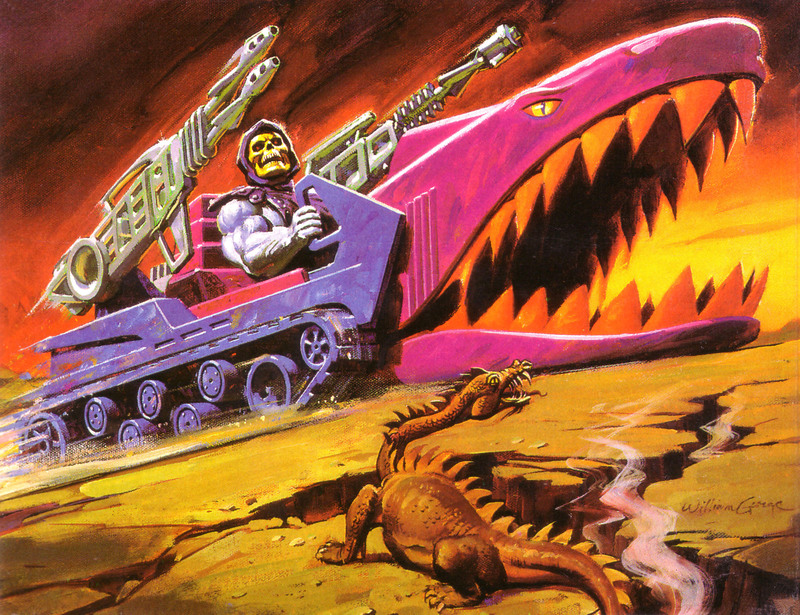 The vehicle only made two appearances in the Filmation He-Man cartoon, in the episodes “The Gambler” and “The Cold Zone”. 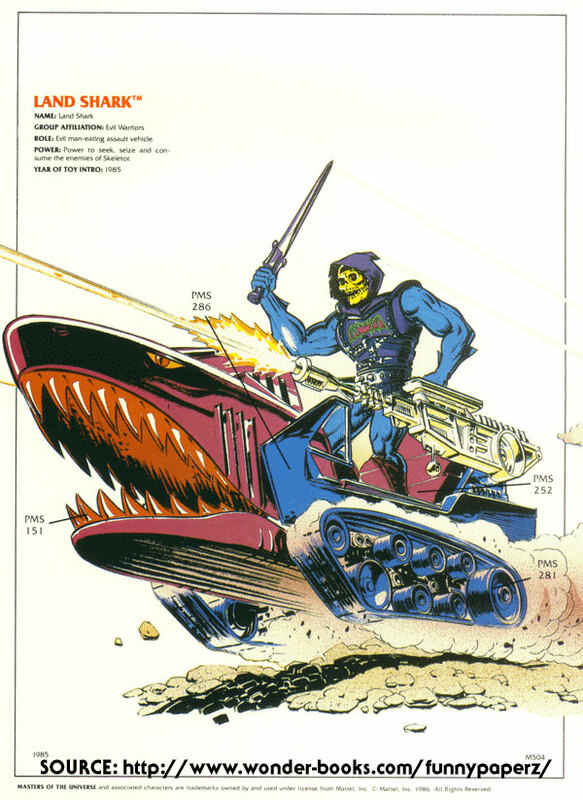 Predictably the vehicle is simplified for animation purposes. 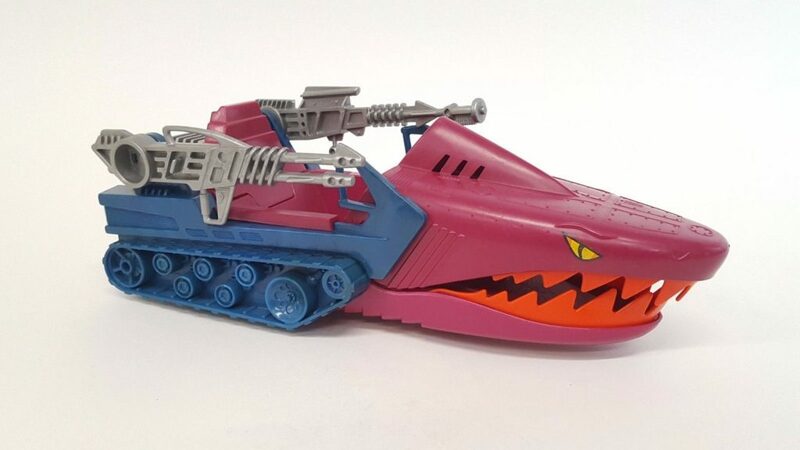 The guns were also dropped from the sides. 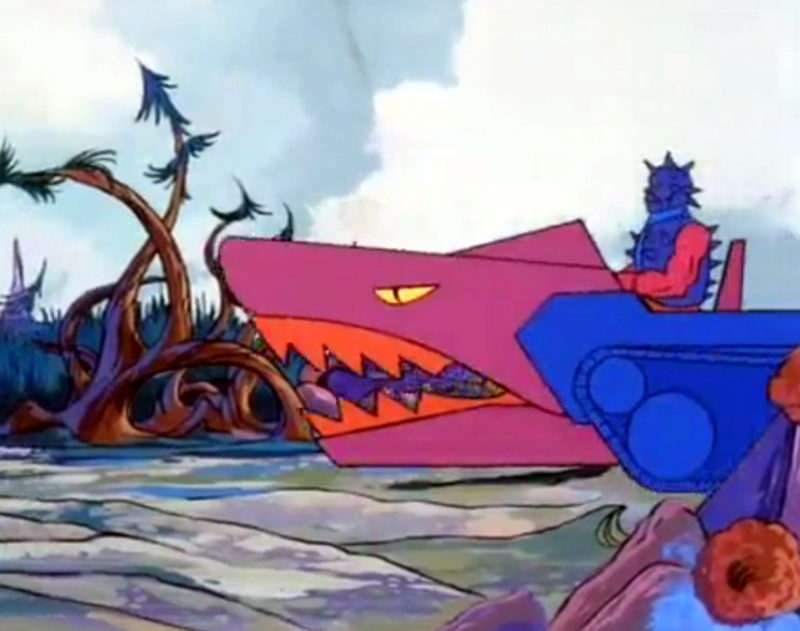 Update: Dušan M pointed out that the animators also added a retractable roof so they wouldn’t always have to animate a driver. 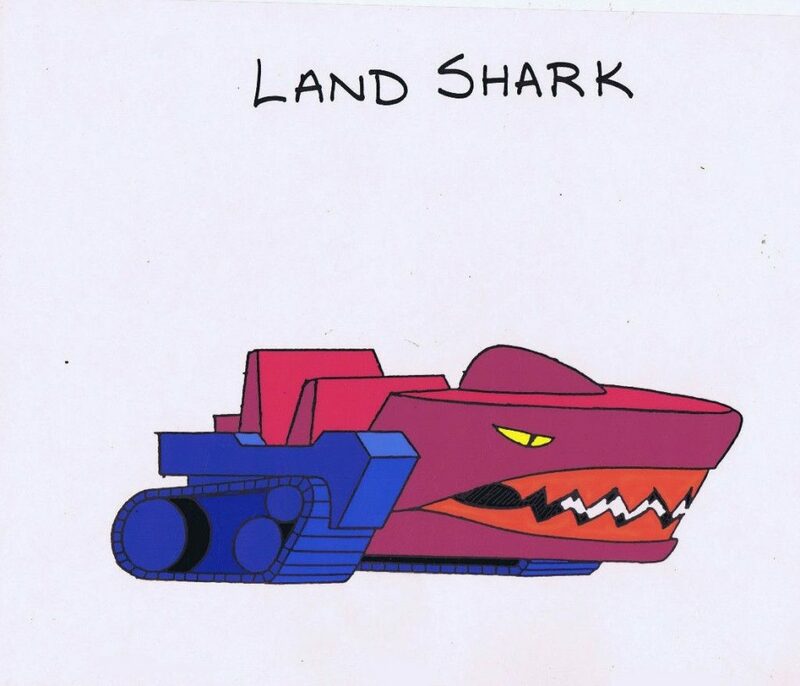 Aidan Cross points out that the Land Shark appears to be sentient, since in “The Cold Zone” it snaps aggressively when the Attak Trak says it would rather not be left alone with the Land Shark. 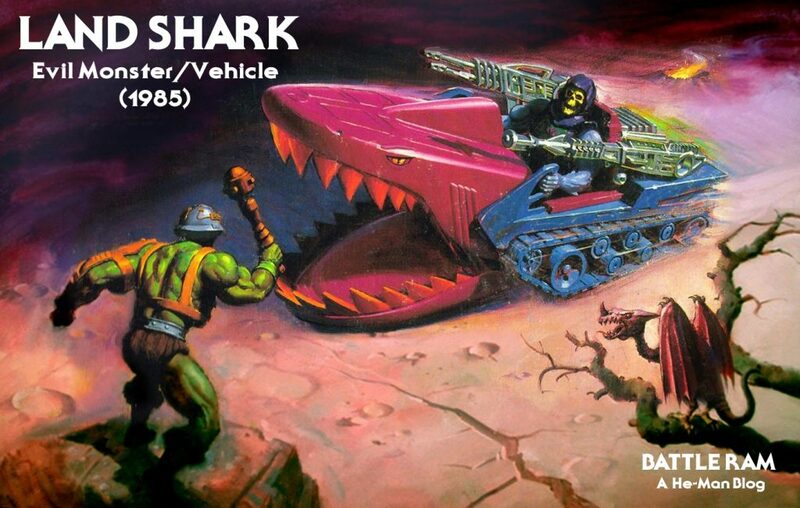 The Land Shark is a gimicky vehicle to be sure, equal parts menacing and comical. 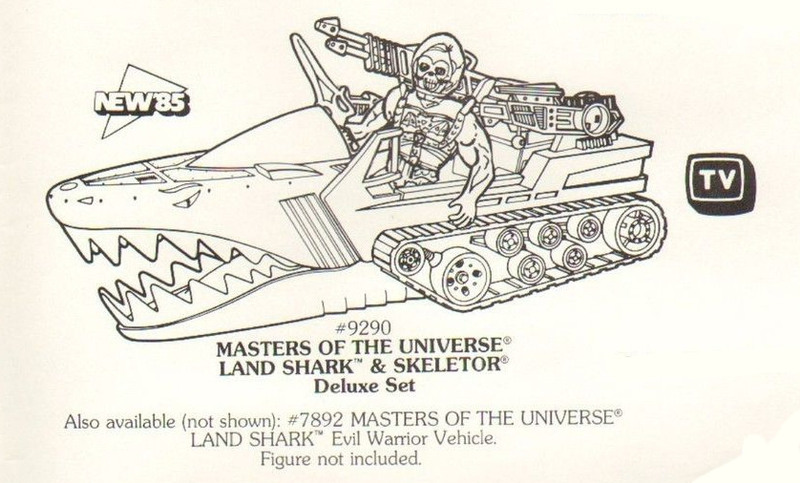 But, it’s undeniably one of the coolest vehicles released for the evil warriors, who never quite seemed to have enough of them. 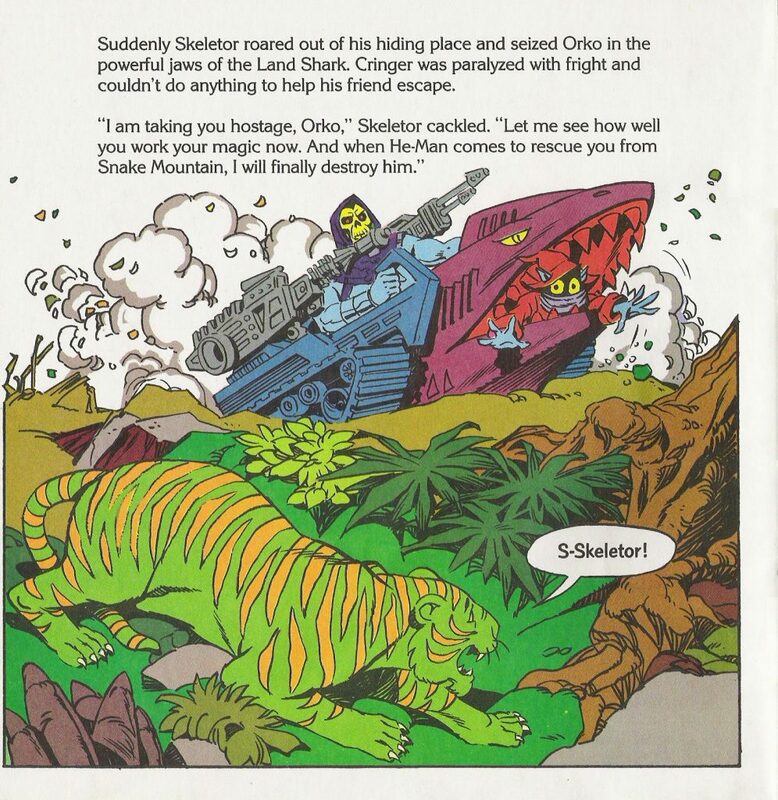 The lion’s share of always seemed to go to the good guys. 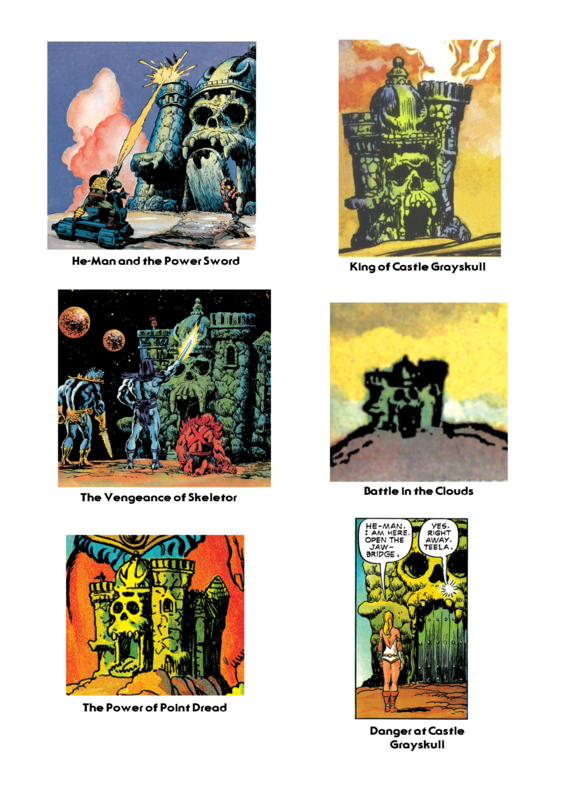 The recent “Lords of Power” series of slides shared by Andy Youssi has created quite a buzz in the fan community. 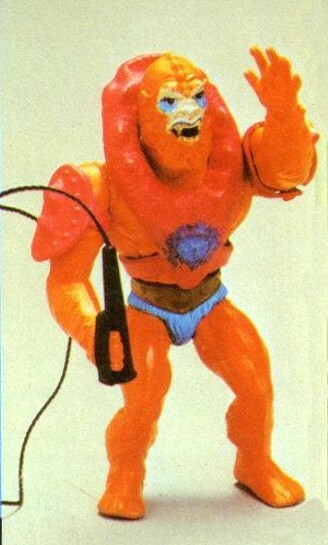 One of the most interesting part of that series is a previously unknown Beast Man prototype. 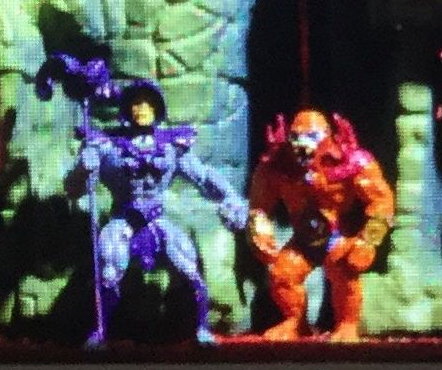 This prototype Beast Man’s design should actually look very familiar to those who’ve seen one of the red gorilla designs that’s been floating around the fan community for years. 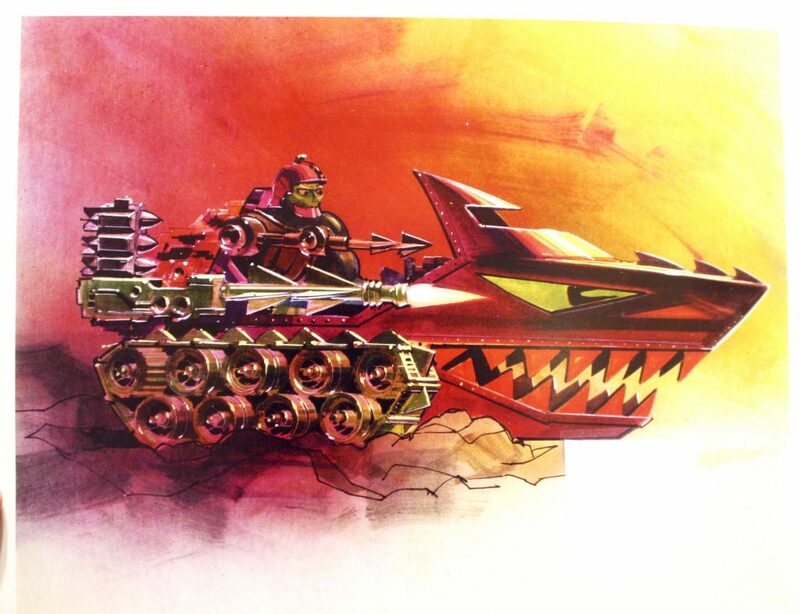 This one was illustrated/designed by Mark Taylor. 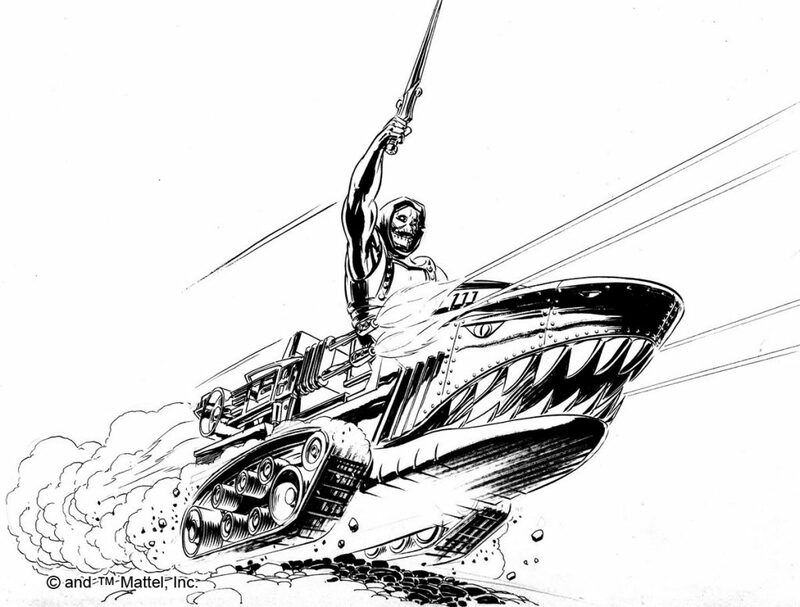 Illustration by Mark Taylor. 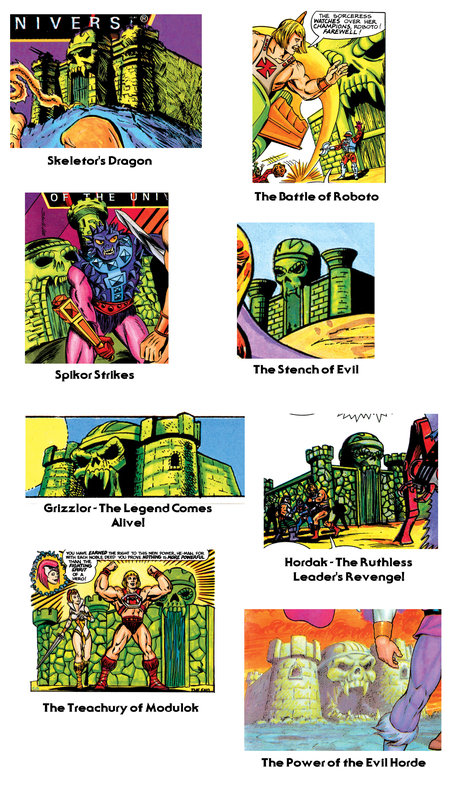 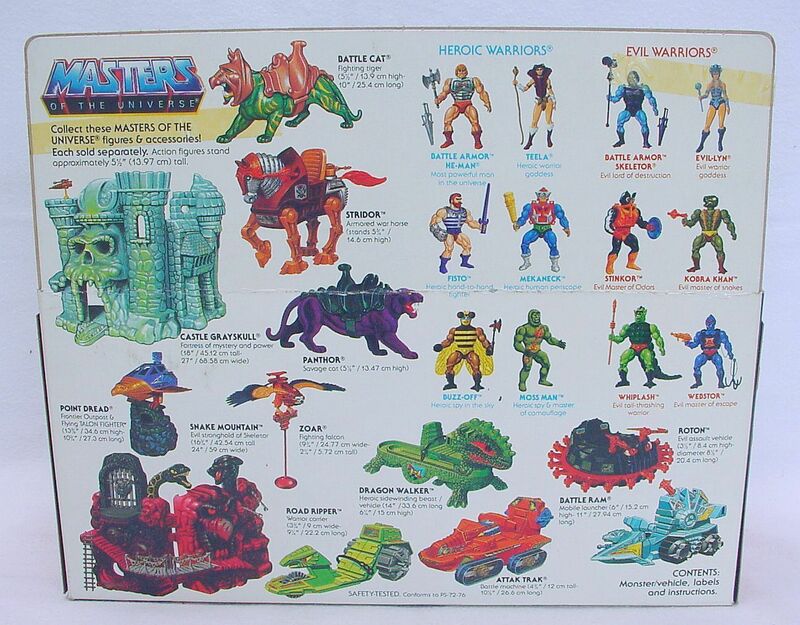 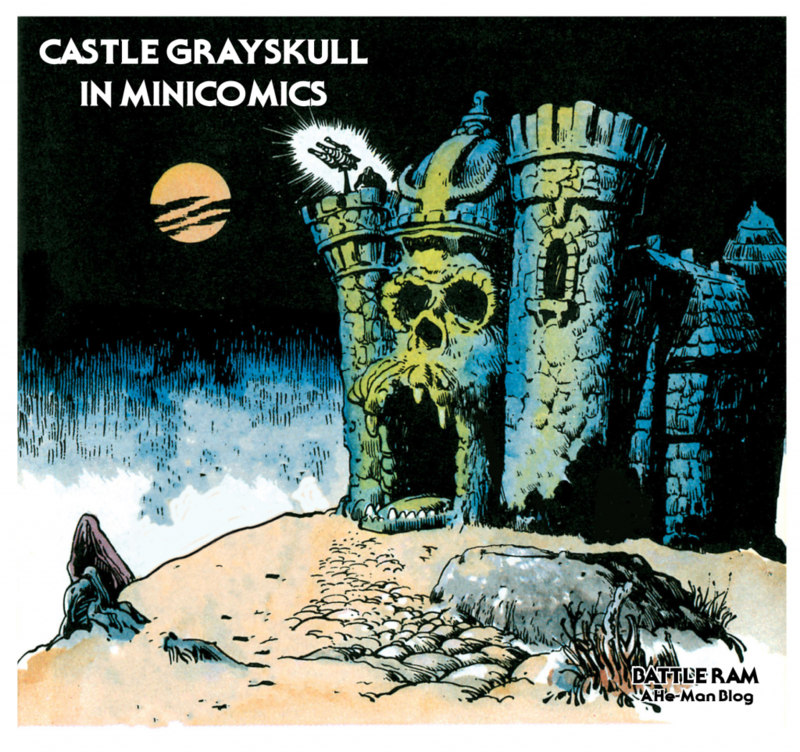 Image via Grayskull Museum. 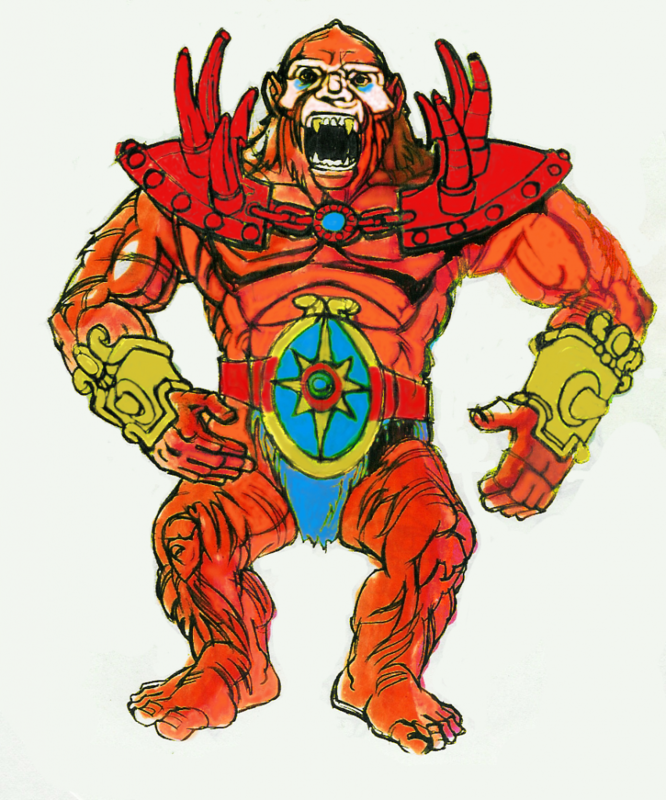 The design is based around the old Big Jim gorilla figure (which was in scale with 12-inch figures) with added armor and different coloring. 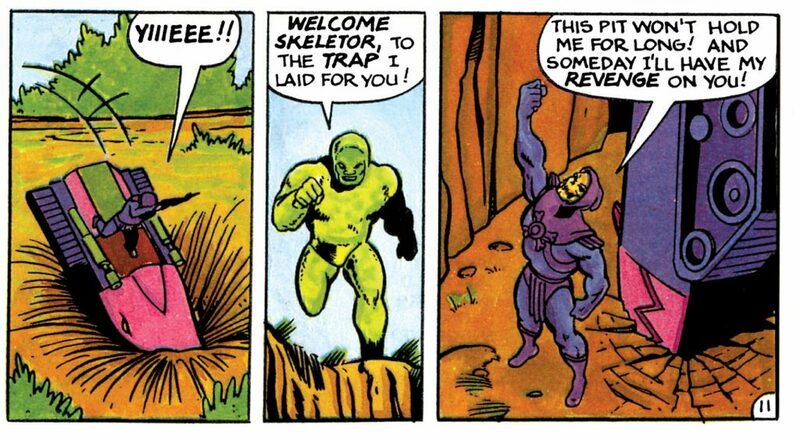 However, the Beast Man prototype is much smaller, even shorter than He-Man and Skeletor, who would have been about 5.5″ tall. 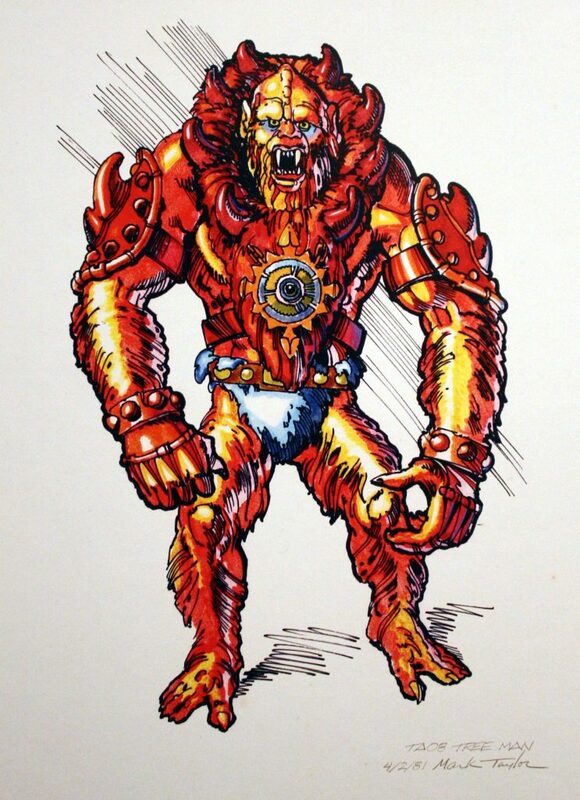 The recolored look also makes the design evolution of Beast Man all the more clear. 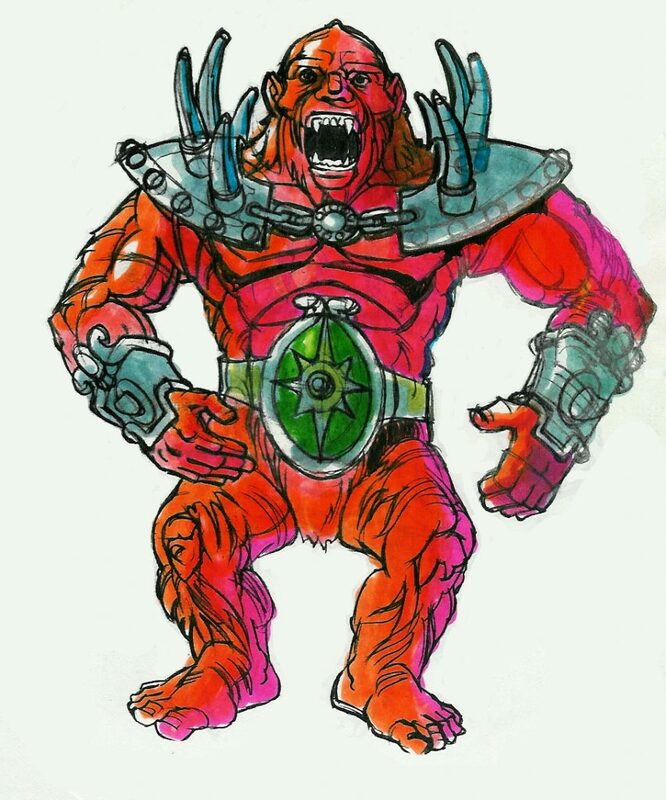 In the final Mark Taylor design, the star on Beast Man’s belt is moved up onto Beast Man’s chest armor. 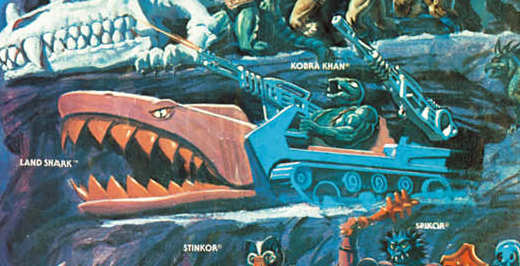 The spikes are reduced in size, and the armor is given a fur covering. 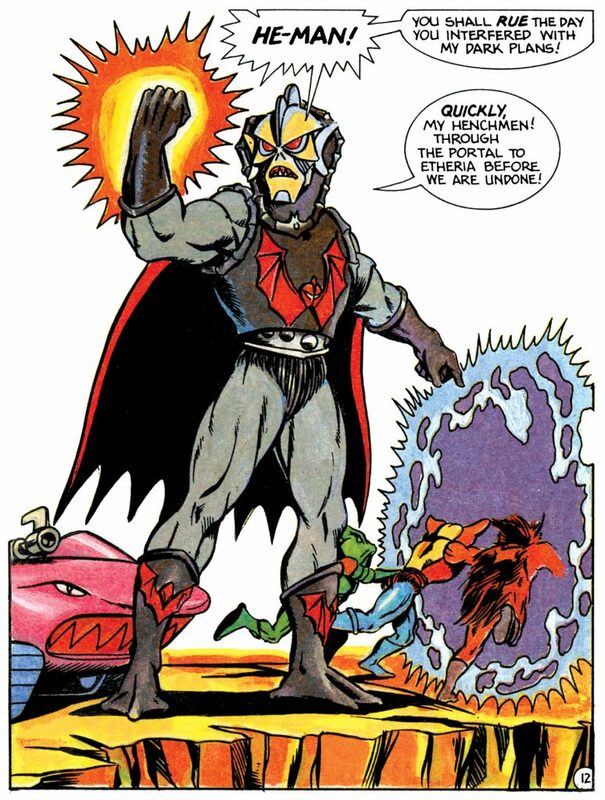 His spiked wrist gauntlets are moved up to his biceps and are simplified in shape. 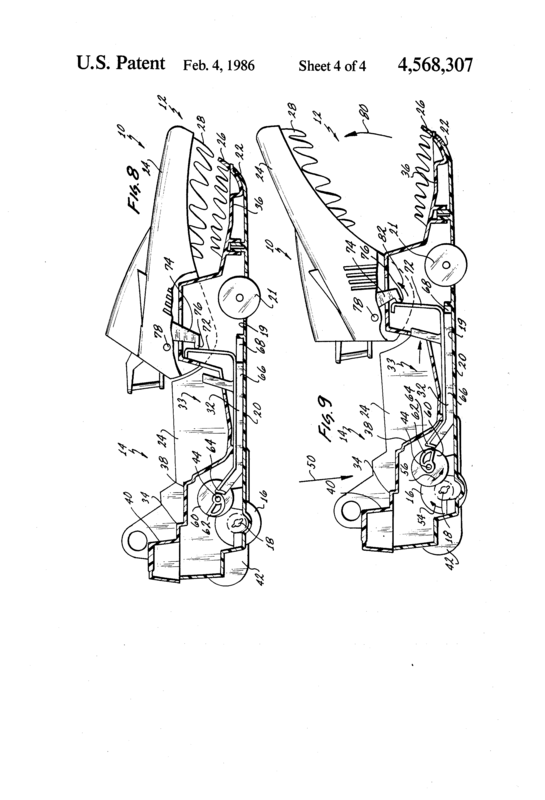 In fact, the revised arm guards resemble somewhat the shape of the original shoulder armor. 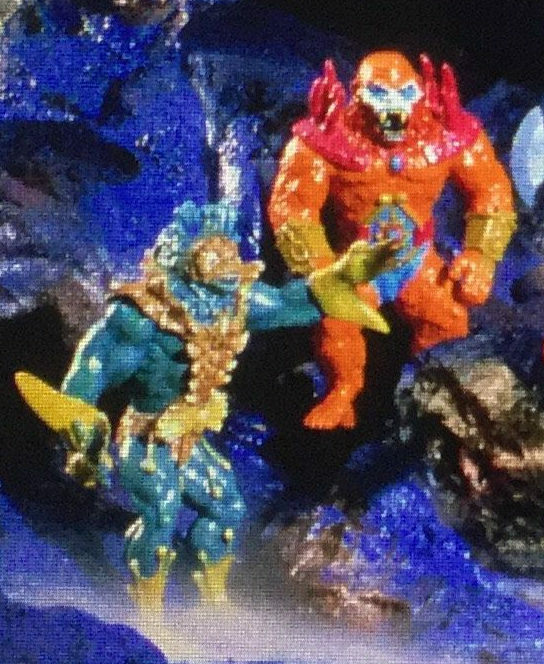 The general color scheme remains the same between the two designs, but the mustard color moves to Beast Man’s belt only. 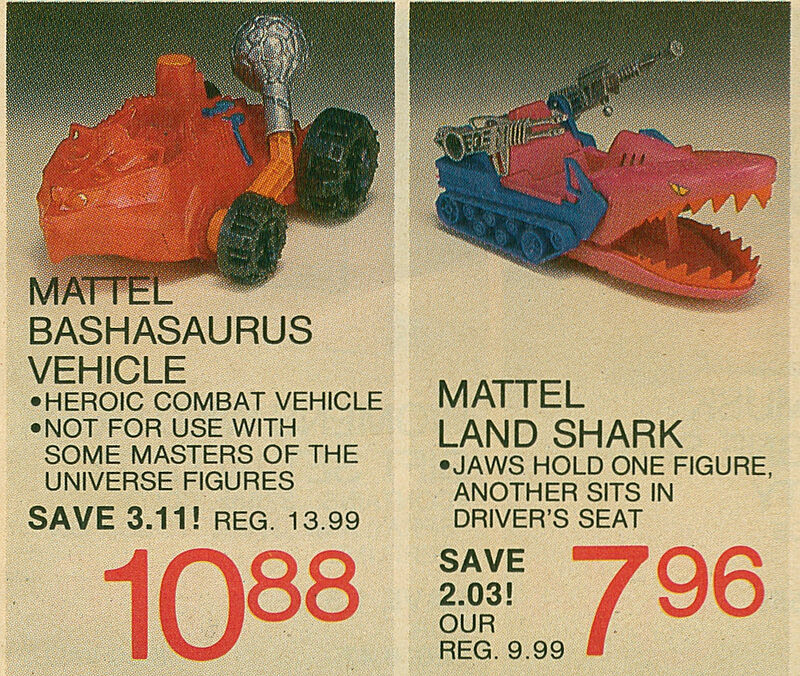 I would guess these changes were done to reduce the parts count and save costs on paint and colored plastic.